In figure skating, skates are the most important piece of equipment. Purchasing appropriate skates to suit the level of skater and your budget is important. 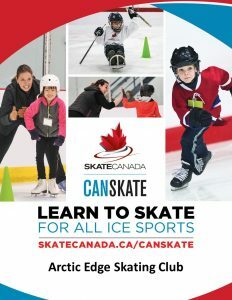 Beginners can start with hockey skates or figure skates, either are appropriate at the CanSkate level. If the blade if riveted, make sure it is straight and centered. 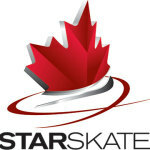 The skate should look and remain balanced when placed upright on a flat surface and the skater should stand straight when wearing the skates. Ankles should never appear to fall over. As the skater moves into StarSKate, it is appropriate to purchase better quality boots and blades. At this level figure skating boots and blades are generally bought separately. Blades are screwed, not riveted onto the boot soles. Mounting the blades is very critical and should be done only by an experienced person. Many coaches and skating stores are able to do this. The space at the back should be no more than a pencil width. Once the skates are tied loosely over the toe and front of the boot and snugly over the andle and instep, the skates should fit snugly around the ankle and heel with some room for movement of toes. When walking around off the ice, the skates should feel comfortable.